The Journey 160 is our most versatile, multifunctional, and rugged flashlight that features a fully waterproof enclosure. 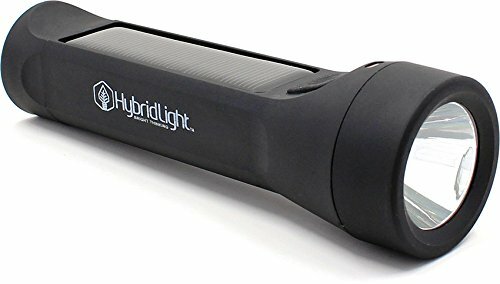 It has a USB port for charging your mobile devices, a Micro USB port for rapid charging the flashlight, or you can simply use any light source to keep your flashlight charged through its built in solar panel. The Journey 160 super-bright LED shines for up to 25 hours on low beam and 7 hours on high from the 2400 mAh lithium-ion battery (holds a charge for 7 years). It's 6" in length and weighs in at only 4.5oz. You can take it anywhere and store it in your glovebox, kitchen drawer, garage, or boat.